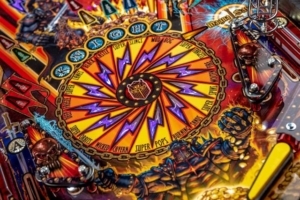 The unveiling of Stern Pinball’s Black Knight – Sword of Rage! Seattle’s official Stern Army Launch Party!! Come experience the game and play a fun launch pinball tournament to celebrate the third installment of the Black Knight Pinball Saga! Friday May 3, 2019 at The ICE BOX Arcade’s Friday IFPA Weekly. Tourney start 9:00pm.